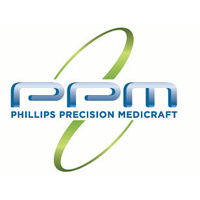 Phillips Precision Medicraft offers customers a single-source orthopedic manufacturing solution. From advanced orthopedic implants and instrumentation to sterilization delivery systems, cases and trays. By integrating continuous improvement efforts with value stream partnerships, we’re able to adapt our business to fit our customers needs precisely. As a result, we offer effective inventory management programs, our own unique brand of DFM (design for manufacturability) and ground-breaking innovations that ensure both the highest quality products and the responsiveness our customers need to maintain their competitive edge. PPM has a history of innovation and a critical understanding of how to bridge the gap between engineering and manufacturing. For nearly 50 years we’ve focused on creating industry-changing innovations and finding unique solutions that allow our customers to achieve their most complex goals. This, along with our unwavering pursuit of excellence and American-made values, defines who we are today: partner of choice for many of the world’s largest OEMs. Proudly manufacturing from three locations in the United States, we combine the world’s most advanced manufacturing equipment, technology, and software with the most skilled and experienced personnel in the industry, allowing us to manufacture products with exceptional quality, price and service.